Regardless of whether or your website is strictly e-commerce or the digital face of your brick and mortar business, a strong web presence is a must – especially if you want to appeal to customers on the two biggest holiday sales of the season, Black Friday and Cyber Monday. So how do you get your website ready for the shopping event of the season, when Black Friday is only a few short weeks away? These 11 tips will help you prepare. Smartphone users are driving online sales, and digital retailers saw a 65 percent increase in mobile purchases in 2015 over 2014. According to DigitalEcommerce, mobile sales accounted for 36 percent and 26 percent of all online sales on Black Friday and Cyber Monday respectively. Not all of those purchases are made from the comfort of home either—according to Google’s 2016 trend report, mobile in-store searches are up more than 30 percent, and 43 percent of mobile electronic purchases are made by customers looking at those products in-store. If you want to keep up this holiday season, make sure you offer your customers a great mobile experience and a seamless (preferably one-click) checkout process. 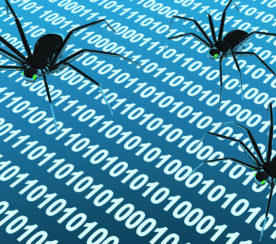 Avoid SEO pitfalls that slow site speed to a crawl, such as automatic carousels. Another interesting tidbit from Google’s 2016 trend report is that 70 percent of consumers start shopping without knowing what they’re going to buy. Curated gift guides are a great way to reach these undecided shoppers—and if your guide’s on YouTube, even better! Google says that 68 percent of smartphone shoppers turn to YouTube when they’re wondering what to buy. Make sure your customers hear about your holiday sales through your ad copy, email campaigns, blog posts, and dedicated landing pages. Whenever possible, include the year in your headlines to assure customers that your sales are current. You should also overhaul your website, so visitors immediately notice your upcoming sales. You can even add a countdown timer to your homepage if you want to generate a sense of urgency. Use Google Suggest to find popular holiday keywords: start your query with “Black Friday” or “Cyber Monday and add your topic. Use the Related Searches feature to find more keyword phrases: the bottom of your Google search might lead you to queries you hadn’t considered. Include “best” in your query phrase: your customers always want to find the best deals and gift options, so see if you can compete with any “best” keywords. Target complete phrases: If you were searching for Black Friday and Cyber Monday deals, what would you type in? 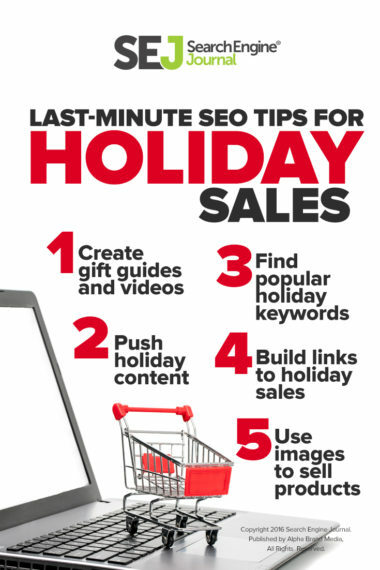 If these tips aren’t enough, you can also use Google Trends reports to see what other holiday keywords are popular. Rebecca Lehmann, a veteran Black Friday aggregator, told Dan Kern in the article linked above that maintaining a predictable sales page (e.g. 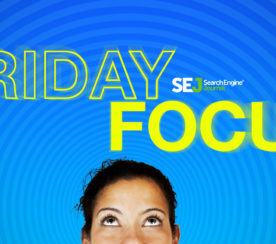 “yoursite.com/blackfriday”) year round allows you to dominate search results for that brand term. While you only need to update this page a couple of times per year, it’s important that the page stays indexable year round. Depending on how extensive your offerings are, you can either combine your Black Friday and Holiday Monday sales into one page or create two separate pages for your two sales. 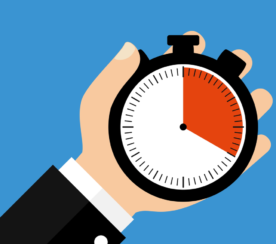 You might not have time for a full-blown link building campaign before Black Friday, but you can earn some last-minute exposure by maximizing your outreach. You can reach out to prospects one-by-one or use something like my tool, LinkAssistant, to automatically find and reach out to important industry figures. Make a special effort to get your sales page or microsite linked to by prominent curation sites, such as BlackFriday.com. Optimizing your images and alt tags is simple best-practice advice for e-commerce stores, but focusing on holiday-specific keywords around Thanksgiving weekend will help customers discover your sales. Put your keyword research to work by adding them to the end of the image text. Trust seals and guarantees are great, but nothing boosts consumer confidence quite like a positive review. When a customer searches for a specific product, you want them to see your best reviews first-and-foremost. This is especially true on mobile platforms when customers are searching for a vote of confidence in-store before they decide to commit to a sale. Your unique value proposition (UVP) is the special something that sets you apart from your competitors. Vague promises of “best in class services” won’t cut it—you need to offer something tangible such as price matching, free deliveries on large items, or money back guarantees. If you can offer a UVP unique to your brand or products, even better. If you want to drive some last-minute traffic to your website, spring for paid ads that include incentives for sharing. Giving away coupon codes and promotional gifts whenever someone shares your website with a friend is a great way to incentivize a visit to your e-commerce store. 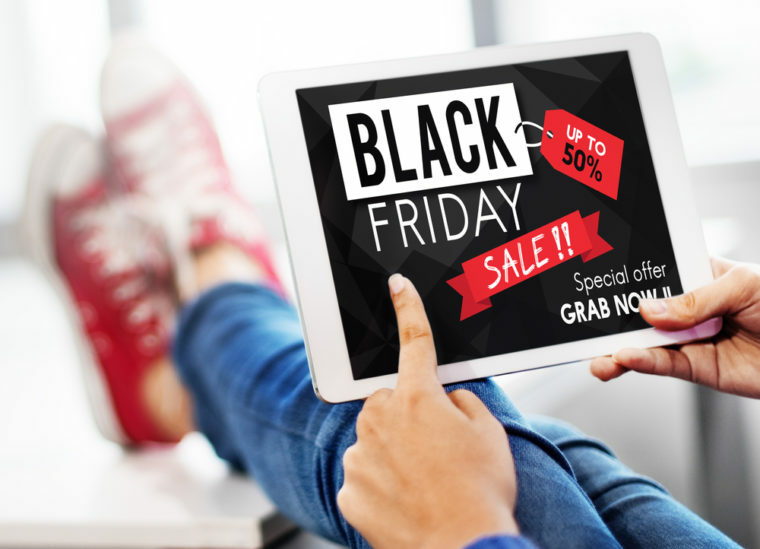 Black Friday and Cyber Monday are the biggest online shopping days of the year, and the last thing you want is for your site to crash as customers come flooding in. Make sure you have enough bandwidth to handle traffic spikes, and enough RAM to cover site traffic. Double check your error logs before the holidays arrive and fix any problems that might negatively impact site speed or UX. What do you do when the holiday fervor dies down, and your seasonal shoppers drift away? Savvy marketers, like Ben Wood, use remarketing lists for search ads (RLSAs) to turn Black Friday bargain hunters into regular customers. RLSAs help you fine tune your Google AdWords campaigns to target specific customers (e.g. customers who spent a certain amount in your online store). To create an RLSA around a specific date, you need to login to Google Analytics and create an audience list. To do this click Admin > Audiences to enter the Audience Builder. Next, click the Conditions tab. Select a specific date (e.g. 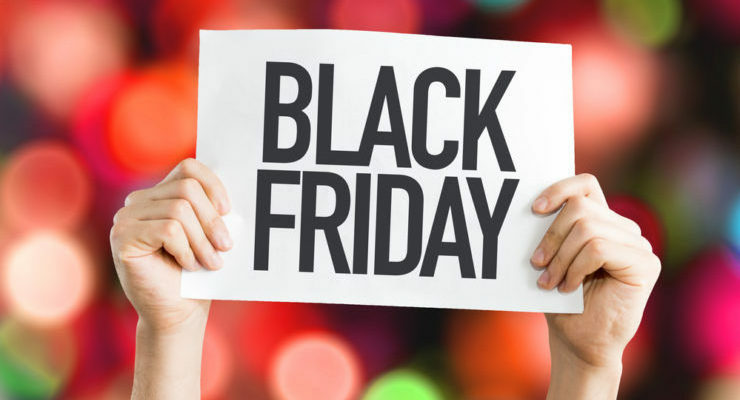 27 Nov 2015 for last year’s Black Friday or 25 Nov 2016 for this year’s) and a minimum revenue threshold per session. Then apply this list to your ad groups to retarget your high-value holiday customers. Check out Ben’s SEJ article for more great ways to use RLSAs for conversion. Customers are spending more and more every year on Black Friday and Cyber Monday, but that wealth isn’t being evenly distributed. While online sales are higher than ever, PracticalEcommerce tells us that spending in-store was down 10 percent in 2015 from 2014. Many brick and mortar locations are choosing to close their doors on Thanksgiving and let their online storefronts do the heavy lifting in their stead. Above all else, remember that standard SEO practices apply—even during holiday sales. You’ll enjoy the best results if your website is well-organized and responsive. Even outrageously good sale prices won’t win you customers if they can’t access your website. To avoid disaster, test your website extensively before the Thanksgiving weekend rush hits. This year, Black Friday 2016 is on November 25th and Cyber Monday 2016 is on November 28th.